This comprehensive book begins with a consideration of the nature of the general banker-customer relationship, the obligations it poses and the issues relating to the commencement of the banking relationship. It provides individuals and companies with valuable guidance when assessing the risks in their relationship with banks, and vice versa. The following chapters allow all parties to consider carefully the central issues and underlying general principles that might arise by addressing the various activities undertaken by a lender. The duty of confidentiality, lenders as fiduciaries, the lender's duty to advise borrowers on the imprudence of transactions as well as fraud, and banks as constructive trustees and damages for breach of contract by a lender are all considered. The final chapters explore the duties of security holders and mortgagees of land, the liability of lenders for receivers they appoint, environmental liability and lender liability as shadow directors concerning wrongful trading. 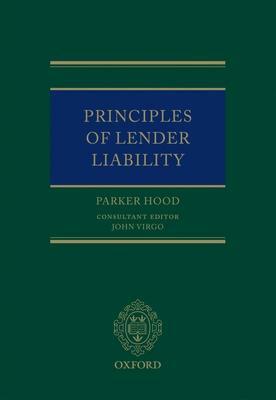 The book outlines liability in negligence and contract, with specific reference to existing case law concerning banks in this field from an English law perspective, and also Scottish and Commonwealth law, thus providing valuable applicability to the banking context for practitioners in other fields. Parker Hood is a lecturer in commercial law at the Edinburgh Law Schooland a non-practising solicitor. He is a member of the Law Society of Scotland Obligations Committee, and is the editor of the Scots Law section of the Journal of Business Law. He is also a member of the Stair Society, a Scottish legal history group.